It is well known that the circumambulation of the Arunachala Hill 14 k.m. 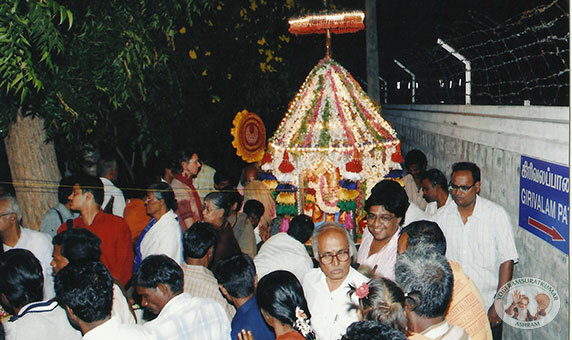 in distance is named as Girivalam, wherein Godess Parvathi has also trekked. Lord Shiva's blessings are showered continuously during this marathon walk. 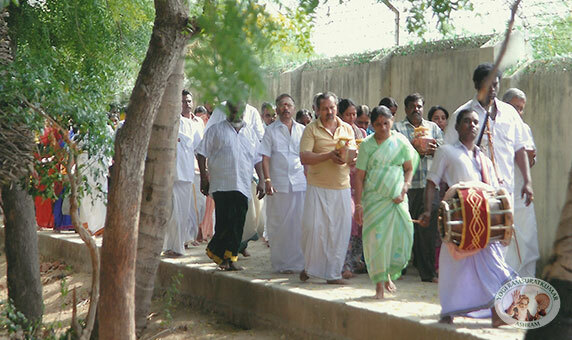 Our Guru Maharaj directed us to earmark and execute a pathway around the Ashram and named it Ashram's Girivalam path. 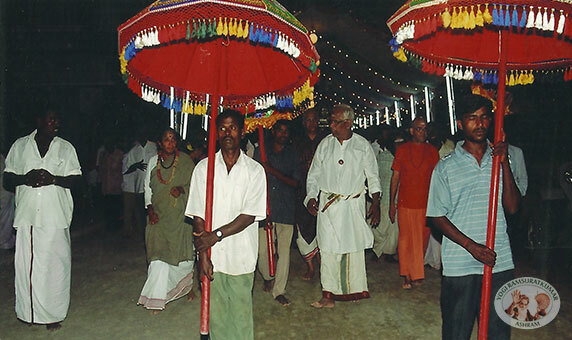 He observed that Girivalam inside the Ashram will have five times the effect received during the mountain yatra. This, to us, appears to be a boon from Guru Maharaj for those who are unable to make the long distance Girivalam due to some valid reasons.